Despite being a professional search marketer, at school my goal was a career in public relations. I even studied the discipline in university, learning a lot about the skillset required to be an effective communicator. Understanding the processes and what it takes to be successful in that business is why it puzzles me so many tend to gloss over the importance of search engines. While keeping up with the (ever-changing) technical requirements of SEO may be beyond the reach of most PR professionals, many of the tactics one would use (such as link building and relationship development) are starting to look a little familiar. These tactics are just an evolution of the old tenets of PR and word-of-mouth marketing into a more digital format. However, in a recent study by PR Academy, more than half of the respondents (52 percent) identified digital communications as a major skills gap, with campaign measurement (44 percent) close behind. The problem is, at the moment SEOs have a pretty dominant position in the digital landscape as there are few PR pros who truly “get” search. But when it comes to public relations SEO, they may have been given a lifeline in the introduction of AuthorRank from Google. Google has begun to move away from their traditional model of finding web pages and are introducing a more semantic level analysis of content. One way they are doing this is AuthorRank (also known as AgentRank). AuthorRank is an extension of the Knowledge Graph and has the potential to allow search engines to identify and rank those who are writing and producing compelling content online and ensure only authoritative content reaches the top of search results (rather than the most optimized). A recent survey by Google saw 84 percent of respondents say they felt online feedback and research greatly affeced their online purchase decision-making process, but this isn’t content that’s coming from media outlets. It’s coming from social media and it’s coming from search engines, but more importantly, it’s coming from bloggers. This actually puts PR pros back into a pretty powerful position. The PR skill set remains the same, the only difference being the medium through which it is employed has shifted online into the realms of social media, search engines, and blog posts. PRs are natural relationship builders; and that scares the hell out of SEOs. In developing relationships with the right authors, PRs can get content placed on authoritative websites, by authoritative authors and then use their contacts to put that content in front of other authoritative authors to share socially, thus allowing PR practitioners to sidestep the need to have a strong author ranking themselves. One area I have personally found PR pros miss out on is links. The importance of understanding what a link can do not only for referring traffic, but also for SEO cannot be understated. An influential search marketer wrote a post outlining nine ways in which PR teams fail SEO and highlighted link-based issues seven times. Grasping the affect of links on a larger scale isn’t a simple mindset to get into (or out of, as any SEO will tell you), but it can be taught with a little professional SEO training. Another challenging part of public relations SEO is how to identify which, in the mass of relevant websites out there, sites have the greatest influence online. Search and link data can be incredibly helpful in doing this for campaign pitches. Imagine if you could track where all of your competitors were getting their coverage from. Imagine if you could see where they are getting their links from. Imagine if you could see which of their campaigns were successful socially. In fact SEOs have been using tools that do this at a glance for ages – tools which you can now take advantage of too. Arguably the best and most user-friendly is Open Site Explorer which can give you metrics about a website on the fly and allow you to analyze its authority instantly. It also allows you to see where a competitor is writing for with a handy one to 100 sliding scale of authority to help you judge which opportunities are worth pursuing yourself. Identifying and analyzing this data is hugely beneficial for any PR professional who wants to benchmark their future campaign strategies as well as improve ROI for their clients. The years-old debate on how PR should measure its effectiveness just highlights the earlier PR Academy stat on how poorly the industry handles analytics. For offline measurement Advertising Value Equivalencies (AVEs) still rules the roost and online, it seems to all be about followers, likes, fans, and hits. How about engagement? Conversions? Return-on-investment? Many PR practitioners are missing out on a huge opportunity to really demonstrate the true value of what they do by getting stuck into their analytics software. If digital is an area you want to work in, then top-level visitor traffic shouldn’t be the only data you’re sending a client about their online PR. This is all about learning and getting the right training. Traditional PR has always consisted of creating compelling content and building quality relationships, something the majority of the SEO sector hadn’t really taken on board until AuthorRank and other recent updates. As a result, both disciplines are at a natural convergence. It’s important to remember we are not competing against one other for budgets anymore, but that we should start collaborating with one another for better results. PR teams need to acquire digital expertise (especially in SEO and analytics) and make it integral to their campaign planning and analysis work, building search requirements into campaign objectives. SEOs have to embrace content and social signals to build and communicate authority and trustworthiness. 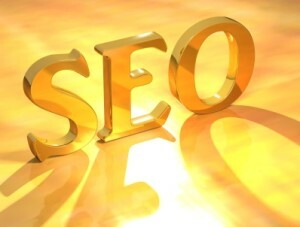 SEO and digital PR are two disciplines that are changing rapidly but, I believe, changing for the better. What do you think about the convergence of digital disciplines? How do you think digital PR will evolve? Leave your comments below. Andrew is a search strategist at Box UK, a software development company in the UK. Andrew has written for many blogs and publications online but can always be found on his digital marketing blog explaining the ins and outs of search and it’s semantic future.